Lebanon’s army says 10 Syrians froze to death while trying to cross into the country via a dangerous smuggling route through the mountains. 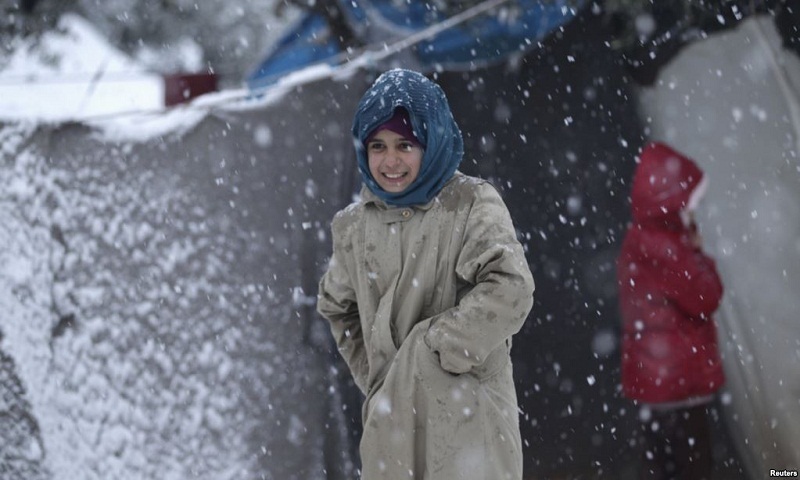 Military officials say the Syrians, including two children and six women, were caught in a strong snowstorm while trying to cross the mountainous frontier between the two nations. An army statement said troops received a tip Friday morning that the group of refugees had gotten stuck in the snowstorm. It said an army patrol found the bodies of nine refugees who had died from the cold and rescued six other people near the Masnaa border crossing. It said one of those rescued later died from frostbite. The army said troops were still searching for others who might have been lost in the snow. It said two Syrians had been arrested on smuggling charges. Lebanon and Syria share a border that extends for 330 kilometers, and the smuggling routes between the countries tend to be in areas of rougher terrain. Syrian refugees began pouring into Lebanon after the start of Syria's civil war in 2011. Lebanon took in at least a million refugees at the height of the conflict, but in 2015 the Lebanese government put in place new restrictions in order to curb the number of refugees entering the country. Many of the Syrian refugees in Lebanon live in informal tent settlements in the east of the country and struggle to stay warm in the winter, reports VoA.